SEOUL, July 29, 2010 (AFP) - North Korea and the US-led United Nations Command will hold more talks Friday about the sinking of a South Korean warship, two days after the end of a major military exercise denounced by Pyongyang. Colonels from the two sides will meet at 10 am (0100 GMT) at the border truce village of Panmunjom, the UN Command said in a statement. Cross-border tensions have risen sharply since South Korea and the United States accused the North in late May of torpedoing the ship near the disputed inter-Korean border with the loss of 46 lives. US and South Korean forces Wednesday wrapped up a four-day naval and air exercise -- the first in a series -- which they said was intended to warn the North against further attacks. "These defensive, combined training exercises are designed to send a clear message to North Korea that its aggressive behavior must stop," said General Walter Sharp in a statement. 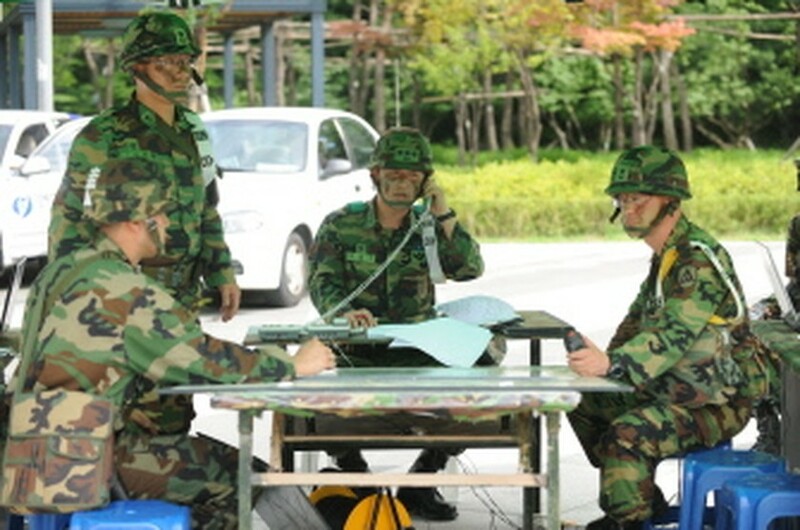 Sharp commands the 28,500 US troops in South Korea as well as heading the UN Command, which has been based in the South since the end of the 1950-53 war to enforce the armistice which ended the conflict. North Korea vehemently denies any role in sinking the Cheonan corvette in March, but agreed to hold talks with the UN Command about the incident. It fiercely denounced this week's war games and threatened military retaliation. At a previous meeting at Panmunjom the North demanded to send a high-level team to the South to inspect evidence dredged from the seabed. Seoul has displayed part of what it says is a North Korean torpedo to support its contention that its neighbour was to blame for the warship attack. It has rejected the North's demand to send investigators, saying the UN Command should handle the case as a serious breach of the armistice. When the talks were last held on July 23, the two sides discussed forming a joint group to assess the circumstances of and evidence on the sinking.